A homeopathic doctor will conduct an extensive interview with a patient, identify potential remedies, and closely monitor a patient’s progress until the person is well. During treatment, symptoms may come and go as the body heals. While it’s a very safe therapy, it’s important to work with a practitioner who has been fully trained in order to achieve the best results possible. At East Bay Natural Medicine, we use homeopathic remedies frequently in our office, often as stand alone remedies in treatment plans. Their ability to heal the body is evidenced by the success that naturopathic doctors have through their use in clinical practices. I see my patient’s health get back on track when they allow their bodies to heal through the use of Naturopathic Medicine. Homeopathy is safe to use in Pregnancy, Breast Feeding and also with Children, so it is often a go-to for these patient populations. 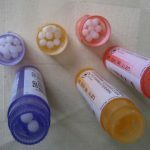 Homeopathy is used world wide, the Swiss Interior Ministry plans to give homeopathy the same status as conventional medicine.